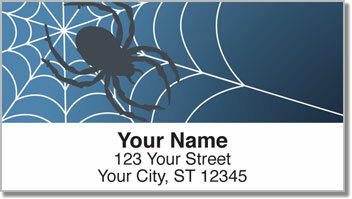 These original address labels are an arachnophobe's worst nightmare! But they're pretty cool if you're in to eight-legged creepy crawlers. Eerie illustrations of black widows and other blood-sucking spiders make this design a bit on the freaky side. They'll definitely give each envelope a unique look. 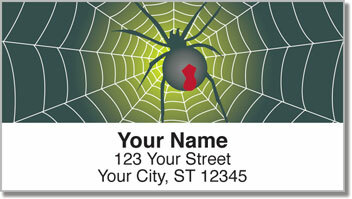 You'll send shivers down the spine of everyone on your mailing list! 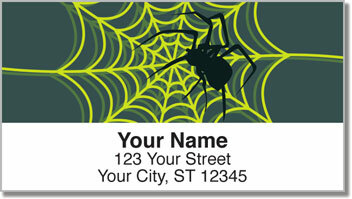 Scary Spider Address Labels from CheckAdvantage are also a handy way to make a routine task easier than ever. No more scribbling your name and address by hand. Now you can just peel and stick these labels on to anything you mail. 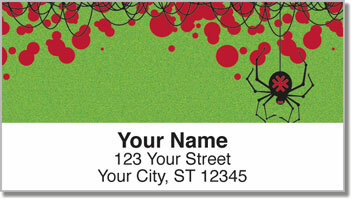 Get your own Scary Spider Address Labels right now! This spooky selection is also available in matching personal checks.